Are You Looking for luxury home builders? Your new custom home is probably the fulfillment of your dreams. You spent a lot of time and worked very hard on the design of your choice; now you want it to be built in such a way that is true to the spirit of your standards and your efforts. 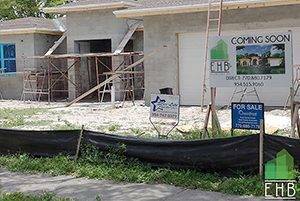 There are many reasons why ECO Home Builders is your best option for general contracting and luxury custom home construction in Florida. At EHB, our work is a unique combination of construction and design skills, dedication, and expertise to preserving the best quality of designs while making financial sense. Creating or finding the perfect home is a journey. At EHB, we want to make this journey a joy for you, and not labor. We are here to be your companion and guide – all the way home. 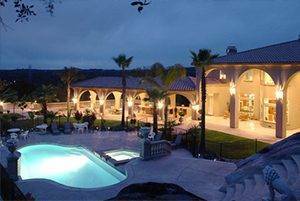 We will work one on one with you to build the luxury custom home that you have always wanted. We can build and design your home on your lot or our own according to your desires. If you are out of ideas regarding the design of your custom home, you can select one from our pre-designed architectural plans and then customize it according to your lifestyle and needs. We can also team up with your architect right from the conception phase. So bring your dreams to us and we will transform them into a reality. We love the artistry and science of building a luxury custom home and have the ability to build it up to our clients’ expectations. 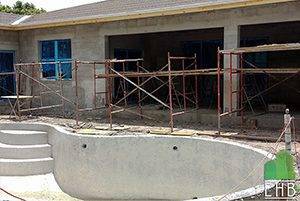 We use an organized and systematic process when building a custom home and strictly follow the schedule. Our office operations such as scheduling, estimation, accounting, etc. all work within our Eco Builders software to ensure the seamless coordination of development, design, and construction process. Over the years, ECO Home Builders has built numerous beautiful and luxury custom homes and enhanced the overall prestige and appeal of the community. Our professional and skilled staff have assisted a lot of homeowners through construction and design process. Our goal is to make the building process an informative, and rewarding experience for our clients. From conception to completion, our professional team will guide you at every step of the way to assist you during the whole construction process. We will pay attention to the smallest details in order to ensure that nothing is overlooked, and your home is built according to your requirements. While the custom homes we build for our clients are unique, they have one thing in common; they exemplify our commitment to quality craftsmanship and our meticulous attention to detail, with outcomes that you will not find in any other homes. Our team approach, unparalleled customer service, and attention to detail truly make us the confident choice for numerous satisfied customers. For more details about our homebuilding services call us today at 954-665-0852 or click HERE and fill out a quick Form! Luxury Home Builders	Overall rating:	5	out of 5 based on 8	reviews.